If you’re looking to make Chapelton your home, there is an extensive range of properties available from the three housebuilders, AJC Homes, ZeroC and Stephen. Stephen’s attractive range of two bedroom cottages and two and three-bedroom semi-detached homes marry contemporary design with versatile living spaces. The Ardwall single-storey cottage house type has proved extremely popular and there is only one remaining so interested buyers should move quickly to avoid disappointment. With two bedrooms and practical storage areas, this property is perfectly equipped for family life. Each cottage comes with Neff integrated appliances, Porcelanosa wall tilings in bathrooms and en-suites and white Mexicano prefinished internal doors among other user-friendly highlights. Those looking for more space will find plenty to love in the Stephen range of semi-detached and detached homes. The upcoming Etive and Finsbay house types offer two and three bedrooms, as well as premium touches such as oak or mahogany staircase handrails throughout the spacious home. The Craignish features a single garage and green spaces as well as fencing and hedging to provide additional privacy. Stephen is also offering complimentary flooring for any homes reserved prior to Christmas, giving homebuyers more for their money in the run-up to the festive season. National property developer ZeroC has a limited number of properties available on the picturesque and pedestrianised Bunting Place, including the Ardler mid-terrace house type available in two or three-bed configuration. This spacious property features several large storage areas for all of life’s accessories, and maintains an energy-efficient footprint split over two floors with a private garden and rear lane parking. Arngask, a four-bedroom end terrace property, comes with a well-appointed master bedroom complete with en-suite facilities split over three floors. 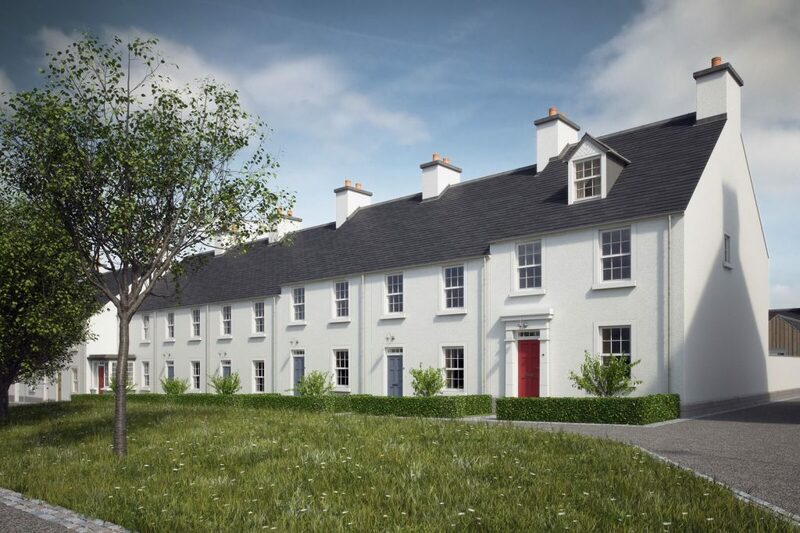 Homes designed and constructed by ZeroC in Chapelton faithfully represent the established architecture of north-eastern Scotland and use local materials such as slate, granite and wet dash render. The Balcaskie coach house features plenty of living space, with two double bedrooms, a family bathroom and traditional Stovax wood-burning stove all set above a garage with fully-electric doors. This property is rich with high-quality features, including a kitchen designed and manufactured in Scotland by premium kitchen designer Ashley Ann and is fitted out with Bosch appliances as standard. Upmarket property developer AJC Homes offers a wide range of properties within its bespoke Pheppie Park development. With several detached property types available, AJC offers elegant homes which are ideally-suited to family life. 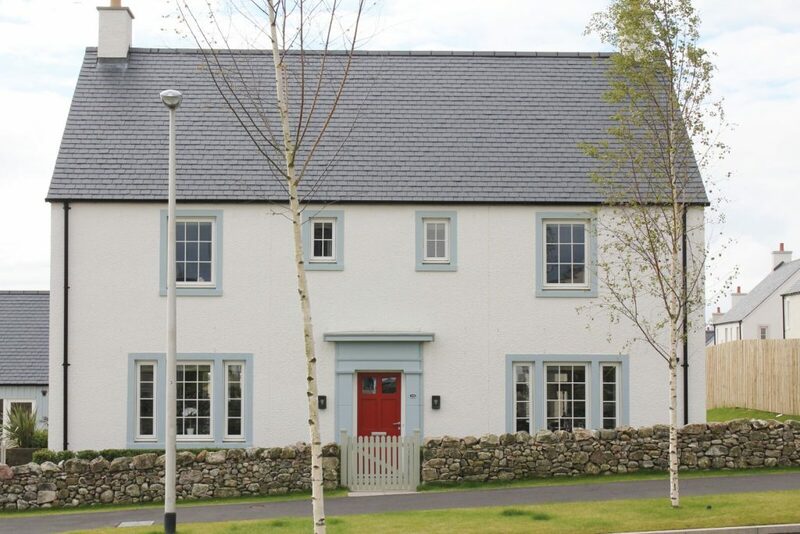 The Atholl house type, a three-bedroom detached home with garage, features a master bedroom with en-suite, as well as plush bedrooms with fitted wardrobes. Roca sanitary-ware throughout, together with a choice of premium German kitchen appliances, ensures this house type provides luxurious family living. Visitors to the AJC showhome can experience the sumptuous Rothesay first-hand, with an example currently built and ready to move into. This five-bedroom detached home features a welcoming open plan kitchen/dining room, as well as a family room and two bedrooms featuring en-suite facilities. For added practicality, French doors open onto the garden, while the large double garage comes fitted with timber-lined doors, internal lighting and a power socket. With homes beginning from £195,500, there are a range of properties at Chapelton to suit all lifestyles, needs and interests.